Media personality and all around incredible feline — Grumpy Cat — will be joining the cast of Andrew Lloyd Webber's musical Cats. In other news, my faith in humanity has been restored. The cantankerous kitty (sorry) makes her one-night Broadway debut this Friday, Sept. 30, at the Neil Simon Theatre. 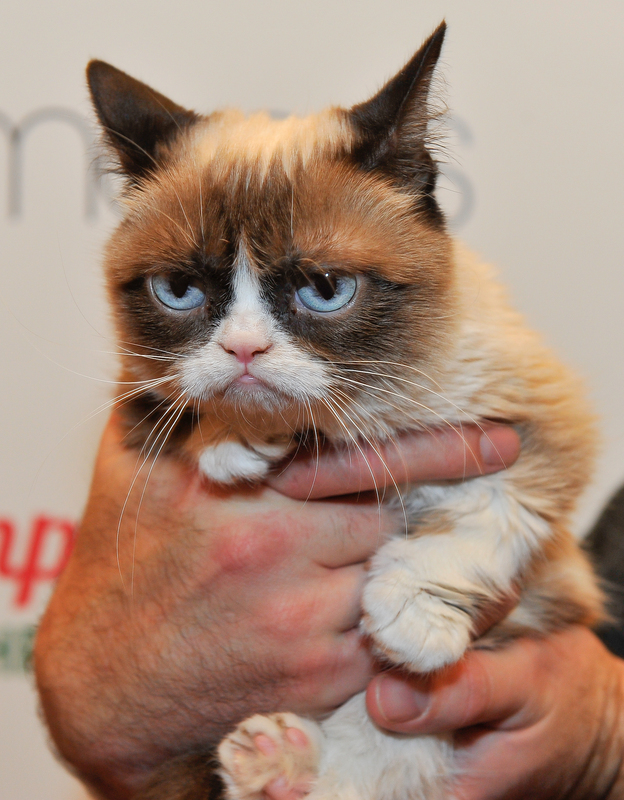 But how, oh how, does one get tickets to watch Grumpy Cat on Broadway in NYC? I'm glad you're asking the important questions here, and not the "Wait why is Grumpy Cat even on Broadway?" question because that question is irrelevant. According to a spokesperson for Cats, Grumpy Cat "will be worked into the end of the show and will become an honorary Jellicle Cat." Amazing. And, apparently, for one night only: As evidenced by the calendar on Cats the musical's website, Cats will be running through May of 2017, but Grumpy Cat will only be a part of the musical on Friday, Sept. 30 in NYC. As of right now, tickets to see Grumpy Cat (real name: Tardar Sauce) in all her ill-tempered glory are available in a few places. You can purchase tickets by going through Neil Simon's Theatre website or Cats on Broadway's official website. Additionally, you can buy tickets on Broadway.com or by calling Ticketmaster at 877-250-2929. You can also buy them in person at the Neil Simon Theatre, which is located on 250 West 52nd Street in New York, New York. And yes, I am ecstatic to share all of this information with you. Grumpy Cat, however, is probably not. I'd tell her to break a claw out there, but if I'm being really honest, I'm a little bit afraid.